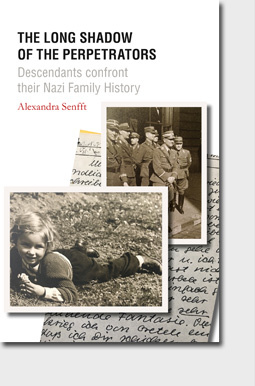 During numerous events for her previous book Schweigen tut weh (Silence Hurts), Alexandra Senfft witnessed, how children and grandchildren of Nazi perpetrators break their silence: Her conversations reveal long-kept family secrets with painful emotional effects. 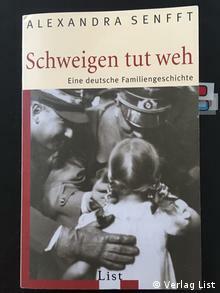 In this book, for the first time, the silence within the families is related to other traumas that were passed on through generations. Building on research on transgenerational transmission, she illustrates in 9 moving portraits how silence became a burden. The very personal point of view helps to break the ritualised patterns of narration, reveal identification with the perpetrators and point out ambivalences. Most protagonists have come to terms with their family past and are taking an active stance against Xenophia and radical right wing. The portraits do not deal with perpetrators from the first row but with blind followers and war profiteers who, after the war, were caring mothers and fathers – but have never been held to account and could settle in their silence. 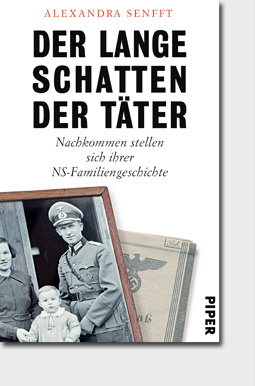 The silence of the perpetrators, non-acknowledged Nazi crimes and traumas from the Second World War are still at work. Inherited anguish has silently left its mark on many people, damaging biographies and relationships and even influencing politics. Alexandra Senfft’s journey through memory, supported by current research, tells of the burden of silence. Her book poses uncomfortable questions confronting denial: How did perpetrators come to be perverted into victims, what impact do feelings of shame and guilt have—and is there such a thing as justice? Sensitively and sagely, her book presents ways for descendants of the war generation to deal with this legacy soundly, if possible also in dialog with the descendants of the survivors. It makes remembrance mandatory in the present and for the future. Για διαφορετικούς βεβαίως λόγους, ωστόσο η σιωπή φαίνεται να παίζει καταλυτικό ρόλο. Η σιωπή όμως πονάει, όπως γράφει η Αλεξάντρα Σενφτ στο βιβλίο για την αλκοολική και καταθλιπτική μητέρα της (Das Schweigen tut weh, εκδόσεις List), και η σιωπή θα πρέπει να σπάσει ώστε να επουλωθούν τα τραύματα του παρελθόντος.